The former chapel is listed as Grade II* by Historic England. Prior to the chapel’s construction in 1818 there was a growing interest in non-conformist belief which resulted in 1810 with a licence being granted for Methodist worship in the home of Thomas Loveless, a Tolpuddle agricultural worker. Thomas’s son George became involved in the growing local Methodist circuit as a lay-preacher. The increasing number of worshipers created the need to build a purpose built chapel. It was built on land next to Thomas Standfield’s cottage and was officially opened on 13th October 1818. It is likely that George Loveless and Thomas Standfield were actively involved in the construction of this unique cob building. As a chapel it was used for worship by at least four of the six Dorsetshire Labourers, who in 1838 became known as the Tolpuddle Martyrs. Three of them may well have preached from its pulpit. The chapel played an important part in developing the education and understanding of deepening social injustices within the membership, which resulted in their forming an agricultural workers friendly society. This eventually led to their arrest and trial in 1834. Five of the six freed Tolpuddle Martyrs did not return to live and worship in Tolpuddle. The continued existence of the chapel can be confirmed through to 1843, and it may well have remained in use until a new village Methodist chapel was built in 1862-63. The former chapel then became an agricultural building and store. The building is mainly built of cob on brick and stone/flint bases and was originally thatched. The roof structure was later replaced with slate and is now covered with double roman clay tiles. The original door leading from the road is blocked with an infill window with a boarded hatch above it. The east and west windows have been bricked up to enable the insertion of a hay loft. There is a beautiful original central pointed arched window opening on the rear wall which is blocked with brickwork. The building is in a poor state of repair and currently is not in use. It is on the At Risk Register, Historic England Building ID: 106409. In February 2015 the building and site were purchased by a newly formed Building Preservation Trust – The Tolpuddle Old Chapel Trust (TOCT). Emergency repairs to stabilise the cob walls and to make the building wind and water tight were undertaken in February 2015, funded by a £9500 grant from English Heritage and managed by the Tolpuddle Old Chapel Trust (TOCT). It is hoped that the major conservation works will be completed by the end of 2019. Click the video below to learn more about the history of Methodism in Tolpuddle. The Trust would like to thank The Tolpuddle Martyrs Museum Audio Trail for giving us permission to use these videos. 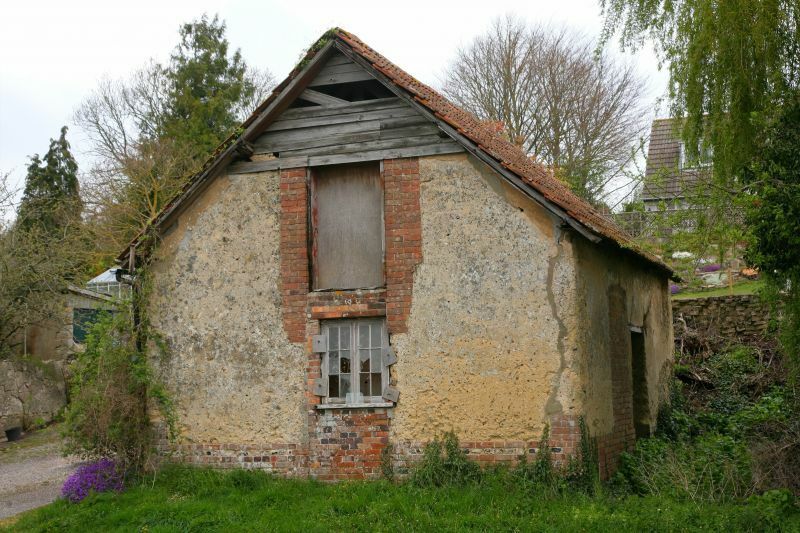 The Conservation Report, grant-aided by English Heritage, was commissioned from Keystone Historic Buildings Consultants by the Tolpuddle Old Chapel Trust in January 2015. The purpose of this document is to clarify the guiding principles for the future conservation of the former chapel, understood as the careful management of its fabric and historic significance in the context of sympathetic new uses.